Good morning, all! Welcome to the first day of our inspiration hops! Today we are featuring my Men of Faith set and Rina K's debut set, Mandala Maker! 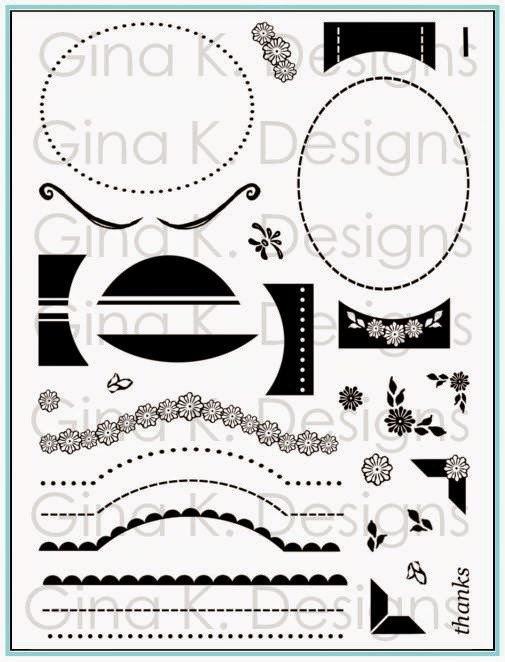 We are also giving away a $50 gift certificate each day to the Gina K. Designs store! Each comment you leave on today's hop is a chance to win, and we love hearing from you! Check the StampTV forum where winners will be announced a few days after the hops. Good luck! For these next three cards, among other ideas, I want to show you the different ways to use the new cross and necklace. Here, I chose to omit inking the hands to keep the focus on the profile and stamped the cord and cross in Versamark and embossed in gold to make it hang around his neck. This sentiment is made for 6 separate words in the set. 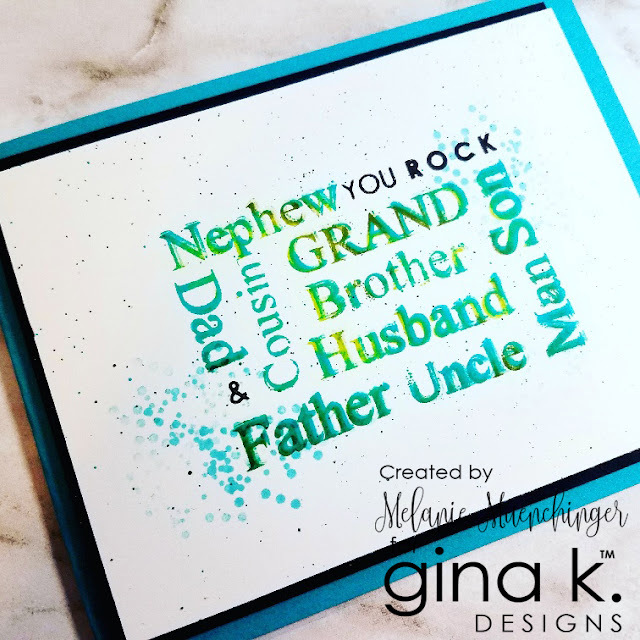 I just love how they are separate so you can craft your own very personal messages, but also line them up or stack them to perfectly balance out your design. I embossed the Son and Godly in gold to really stand out. Remaining words are also stamped in the Jet Black Amalgam ink. I matted this on Good as Gold cardstock and finally a heavy white Pure Luxury base. Obviously, this card is for my son! His Adams apple is not quite that developed yet at 13 (haha!) but I can't ignore that he is changing before my eyes, turning into a man physically and emotionally (sniff, bittersweet) He wears a gold cross necklace like this every day to school. He asked for one about a year ago, but went through a period he didn't wear it. Middle school is rough for anyone, but it can be especially hard to live out your faith at that age. I am so proud of this bold little guy. He loves Jesus! And really wants to be a light in the world. He was in an accident on Saturday night that involved broken bones and a trip to ER, but I am so thankful it wasn't worse! God is good! If you pray, would you please say one for William, that his shoulder and collar bone would be completely healed? Thank you! Here you see another layout, with the clasped hands skyward, holding the chain, this time embossed in silver. I love this picture of surrender and trust. I used the Moonlit Fog ink to sponge on some very simple clouds. I love the texture of the torn edge at the top and the chaos it suggests. (Praise You in this Storm by Casting Crowns (one of my favorite bands) is running through my head now...) Base is Pure Luxury Slate. I'll be sharing this card in a future video! 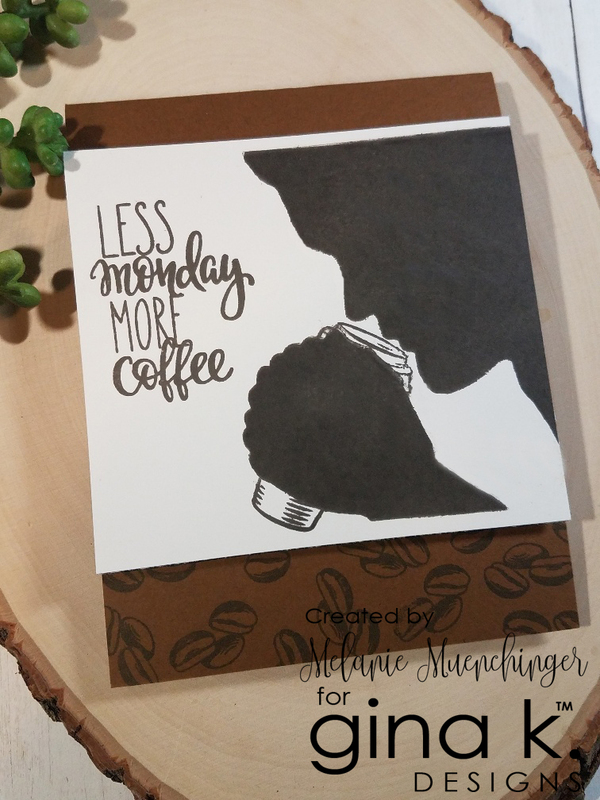 (I made this card a few weeks ago, but I need to make another one with the female silhouette and this sentiment, because THIS mama is going to need some encouragement over the next few weeks while he recovers! 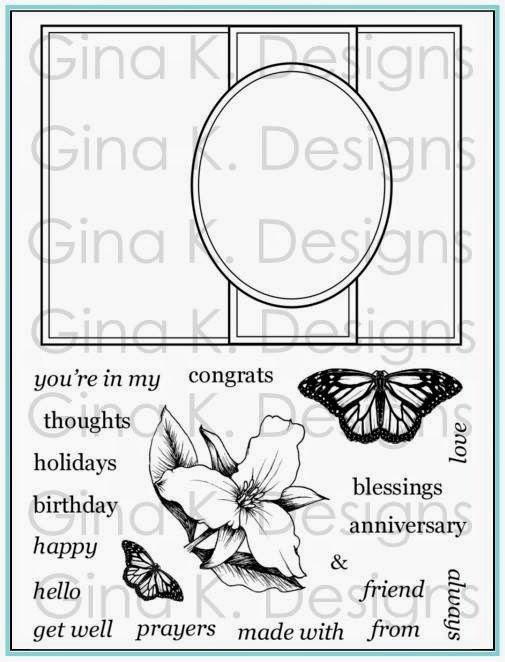 Here is stamped the silhouette in GKD Sandy Beach to match my cardstock. I love having the ability to stamp the individual words around it to create custom frames! Stamping the comma is optional, it's a piece of art, so punctuation doesn't have to be exact, just sayin, go with what you think looks good! 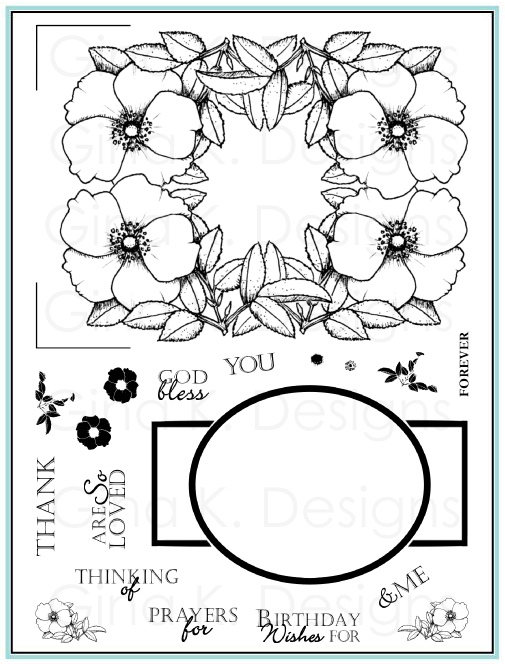 Play with the spacing and place the image sheet over your stamped silhouette to get a feel of how much space each word will take up, and if you have more space in between than you want or your words or shorter than what you want to fill up he space, get creative by filling it in bling, Nuvo drops, the cross, know what I mean? After embossing the necklace in gold, I matted on Black Onyx and base is Pure Luxury White. Finally, I HAD to make one with my set and the new incentive set, Perfect Pair, haha! Lest you think this set is only serious, I promise there are other possibilities! Nothing like white-knuckling a coffee cup on Monday mornings to make you start feeling alive again, you know?! Stamp silhouette first, then mask the hands to stamp top of coffee cup above and then again below, extended to make it a wee bit longer than the original image to be more to scale. That's it! I love this greeting! Base is Warm Cocoa, stamped with beans in Dark Chocolate. This darling coffee set is free for a limited time with your order of $75 or more, will automatically add to your art! Next, we have Rina's first set, Mandala Maker! I love elemental stamping and these have infinite possibilities. 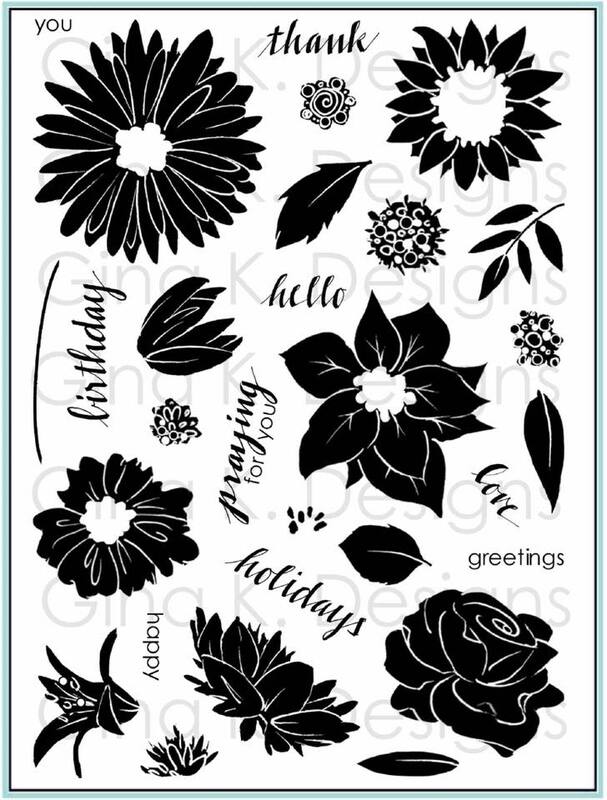 Because I wanted to use so many of the different elements, I didn't use the template to stamp this, just stamped each image in 4 opposite pairs, starting with the largest element on the inside in Jet Black Amalgam, and working outward. Then I added in the small elements stamped in GKD Dusty Rose. I added just a little color with 2 alcohol markers to emphasize the small details. 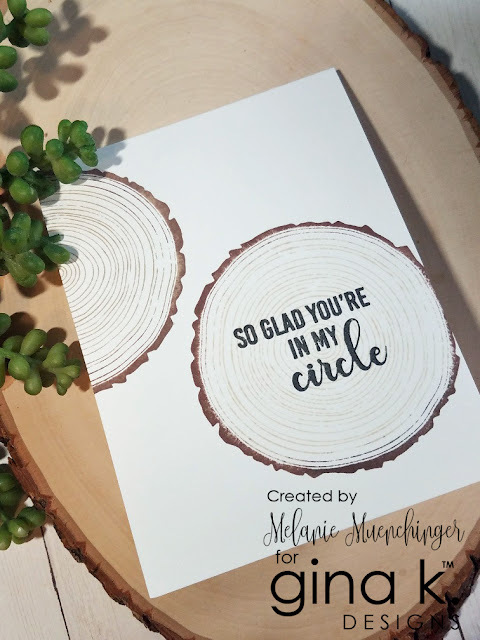 I used a GKD stitched circle die cut to pop up this fun greeting. Base is Pure Luxury White. 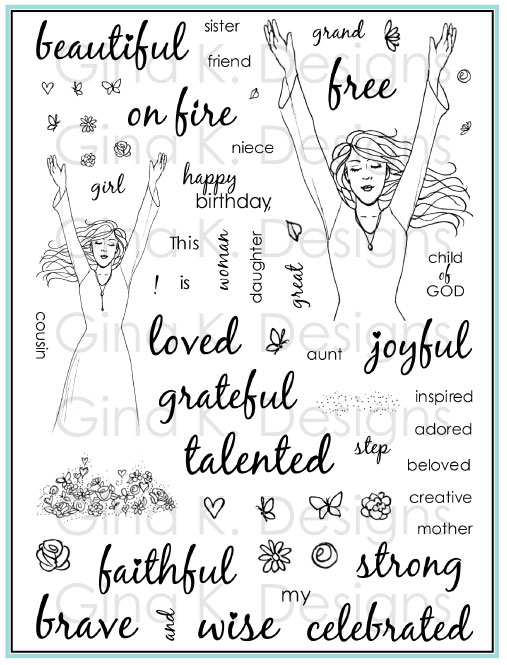 I also shared this one at the party using her greeting paired with Lisa Hetrick's new set Something Good! We'll be sharing more samples with that set tomorrow! Be sure to come back for more fun ideas! Great cards, Melanie! New stamps are fantastic. Love all of the cards could not pick just one! Love all of the different techniques you used! All of your cards are fabulous and so inspiring. Good thoughts being sent your way for William andyou. Praying for complete healing for your little guy. He will have a story for his kids now in the future. Your cards as great as always. So many ideas. OMG Melanie! Look at all those cards! They're wonderful! Prayers for your son also. Hope he recovers well. Favorite is the mandala, pink and black. So glad your son is going to be okay. Love your masculine cards. Wow Melanie! You have been busy, thanks for sharing. Praying that William (and you) are feeling better. Love the black and dusty rose Mandala...I am hooked on that set! 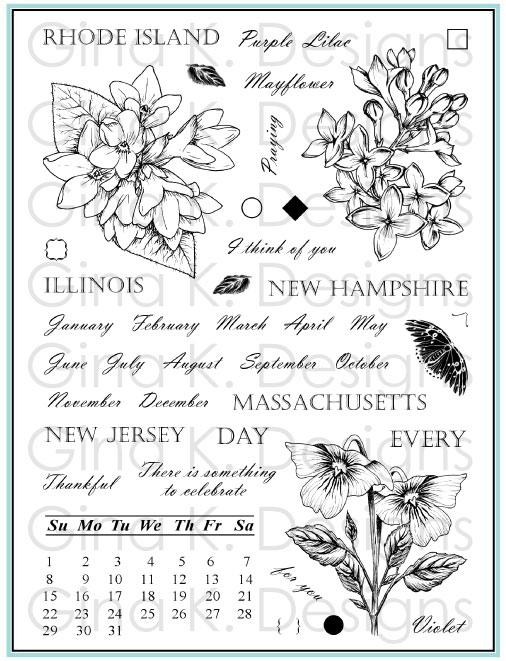 Love so many of the stamps! Your cards are wonderful! I love having many words on this one for masculine cards. They are often hard to find. Beautiful cards. I hope William is healing well. Your cards are lovely, as always. What a handsome boy!! 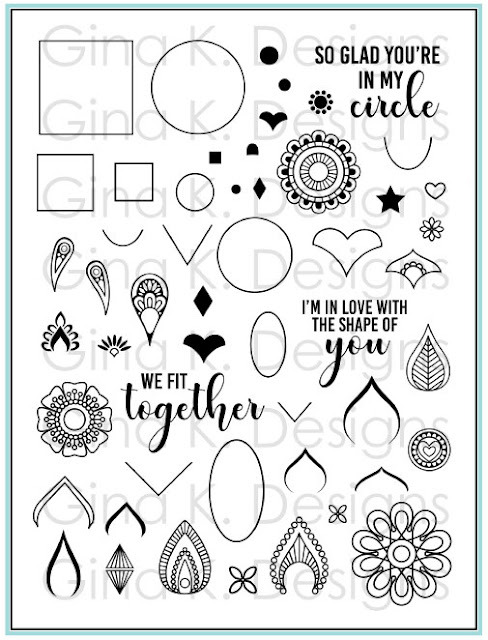 I'm in love with anything that comes from Gina K. Can't wait to receive my mandala stamps. I like all of your cards! If I had to select a favorite, it would be the one with the words as a frame. 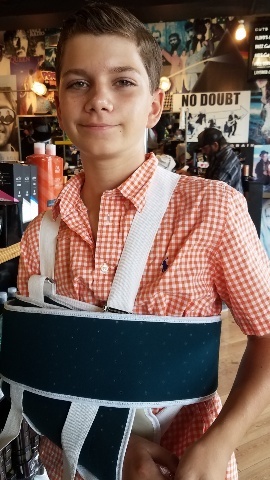 Your son looks good with this sling! He may get sick of it, but he will make it work. So tough to see a loved one injured 🤕 of course I will pray for Williams complete healing ! Your designs are lovely 😊. All the cards are great but I especially like the In the storm one because He is! All of these ideas are wonderful. I just wanted to see more and more. 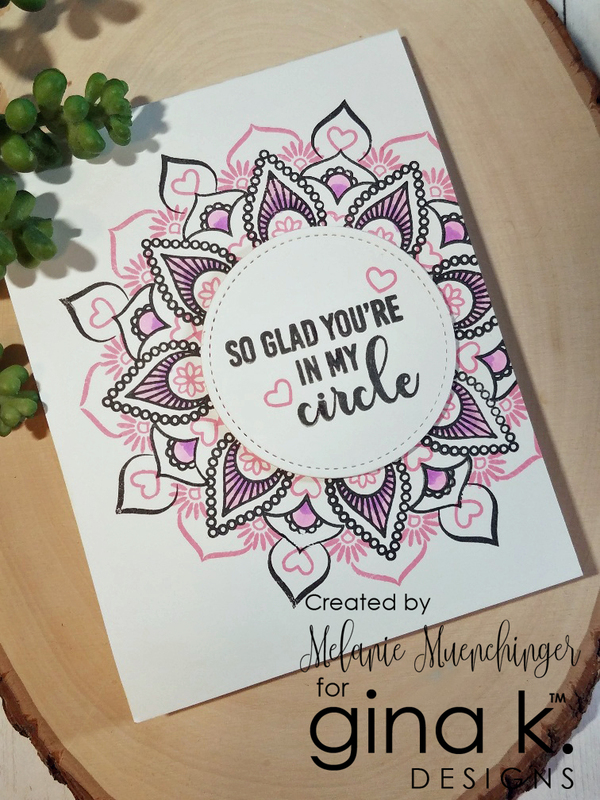 Thanks for the examples - gotta say that the pink and black mandala is my fave! Thanks for all the inspiration. Both stamp sets are awesome. What awesome cards. Both sets have endless possibilities. Thanks so much for all the inspiration. Sorry to hear about Will's accident. Prayers for a quick and easy recovery. Lots of good samples/ideas. Thanks so much. I love all the cards you made!!! So creative! Thank for the inspiration. Great cards! 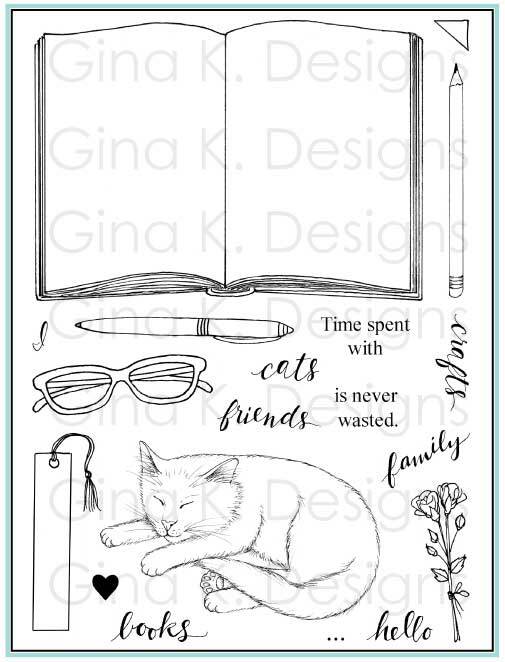 I think I’m going to have to get that Sandy Beach cardstock! Wow you were a happy stamper so many wonderful creations. Such varied and unique cards. Love the use of the incentive stamp with the Men of Faith stamp. Running out of adjectives....awesome sauce! Prayers! 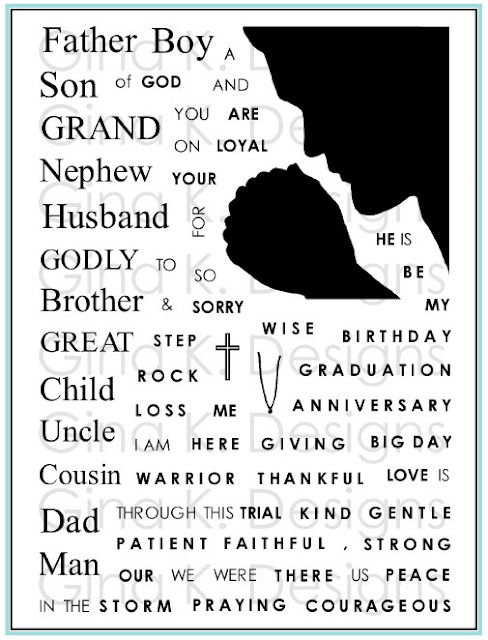 All of your cards are terrific but I think the card to your son with the cross around the neck is my favorite. There is something very impactful about it. Great ideas and inspiration for your new set Melanie! I will have to case a few of them. Prayers for William. Your cards are beautiful and I have to say I was delighted with the humor with the coffee set. Very clever and accurate. Love your cards. It is great about your son sharing Jesus and ye it is hard in Middle school to do this. Hope his bones heal proper and does not cause him any trouble later. So many beautiful cards for inspiration! Thinking of you and sending prayers for William’s recovery. Beautiful cards! Never would have thought of putting the coffee cup in his hands. Always thinking.... Thanks for sharing. All your cards are wonderful, Melanie! I really like Lisa Hetrick's new set and can't wait to see all the cards tomorrow. Thanks! Best wishes to William for a quick recovery. I think my favorite card today is the diamond look, very masculine. Your Men of Faith is a wonderful set. 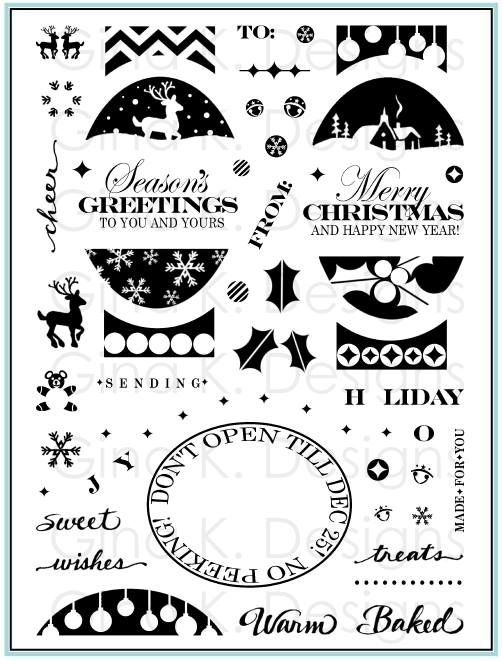 I love the idea of the cross stamped on the silhouette too. It really makes it a focal point. All your cards are special. Thank you for the video...and for all of these beautiful cards....prayers indeed for this young man....I too was injured in a car accident...both shoulders. Thank you for this opportunity to win this great prize. WOW! Loads of inspiration and techniques. I love your cards! Your cards are fabulous. Thankful for sharing. And your son is a very handsome lad. Beautiful cards. Masculine cards are always a challenge for me, so it's exciting to see the Men of Faith set. 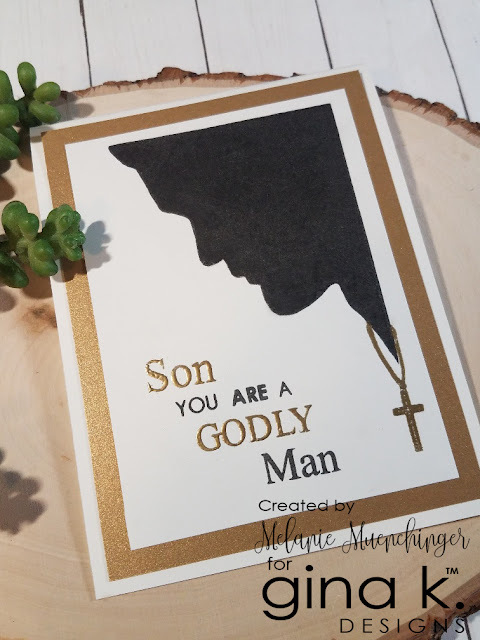 Love the ideas for masculine cards. So much more difficult for me. And, the Mandala Maker, WOW! Love it! P.S. Prayers for William. Gorgeous cards Melanie! 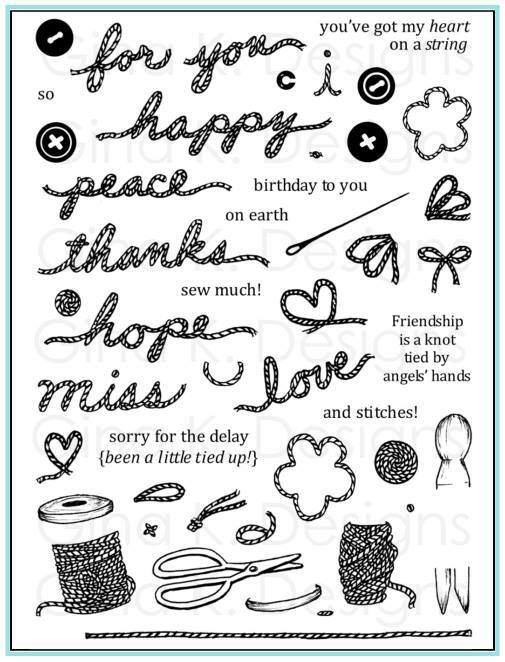 I love your new stamp set! These stamp sets are wonderful. Love the cards you made with them. Melanie, Love all the cards you made with Men of faith. Holding coffee cup is my favorite. And I loved the simple n elegant designs with pattern paper. And my wish list is increasing day by day..Prayers for William.. So many good masculine cards....thanks! Beautiful cards! Can't even pick a favorite! Love the first. Card. I love they you designed all of the words to create an interesting focal point. Nice cards! I LOVE THEM ALL! What great creations! Beautiful cards! Speedy healing to your son! Lovely cards of encouraging words. Hope Will's recuperation is swift. Oh my goodness! So many wonderful cards that I don’t even know how to comment on them! I particularly like the set with the blue argyle paper. Praying that your handsome young man heals quickly, and that he continues to shine his light in the world. The men of faith cards are so inspiring. 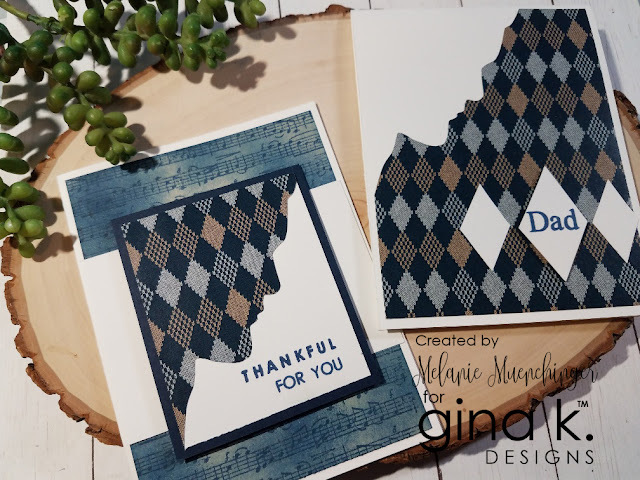 I have to admit that the two with patterned paper became an optical illusion to me and I wondered why you tore paper and then put it on your card.... then after awhile, I saw the images. 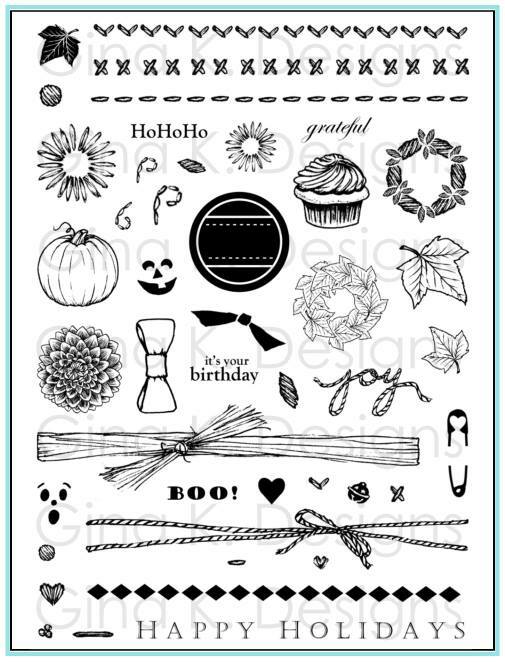 I'm glad you came up with this stamp set. Your set is beautiful, Melanie and all your wards are wonderful! Love them all. Colors are rich and vibrant! I forgot to put which one I liked the best... can I just say I like them all, I can choose! Love all your cards, love seeing how you used the necklace. Love your card you made with Rina's set too!!! I pray your son heals quickly! Your cards are always beautiful, inspiring and I’m always awed! Praying for Will’s speedy recovery! Beautiful cards!! Hope William heals quickly. Fabulous cards and delightful young man! Too hard to choose I love them all! I also loved hearing about your son, not the accident, but how he's trying to live his faith. God bless him and may he recover fully. Melanie, thanks for another beautiful set. Amazing Cards!! Prayers to William for a complete healing!! Love them all, if I have to choose It would be the one for your son. Hope he has a speedy recovery. Prayers are being sent for William and a speedy recovery. Love your cards. Your creations are exquisite as always! I really had to LOL with the coffee one! That was super creative. I am totally loving that Mandela set! I love all of the words you have listed in your men of faith. These are so versatile and can be used in so many situations! Rina's mandala set is so fun. Both sets are must haves! Wishing your son a speedy recovery! Love all of your cards! Amazing what you have done with the sets in this release! Great cards, wonderful words used for amazing examples. My goodness, what an amazing collection of cards! I love how you've created some of immense faith and some with a bit of cheeky humor too. Thanks for sharing all these beautiful designs, and I will certainly keep your son in my prayers. I hope he has a speedy recovery. Lovely cards. I see where you get the inspiration for your stamp designs. I will pray for your son's healing. Love your cards Melanie. I especially love the spiritual life you bring to your cards. I hope your son has a speedy recovery. Beautiful cards! Really inspiring to get everything out and play! Love the masculine projects! Keeping William in my prayers. Really love your masculine cards! Your little man is so handsome. Praying that God will knit those bones back together perfectly with no lingering problems! wonderful masculine cards - and praying that your little guy heals completely! Love your blog post. I prayed for you son and you. Having a child that had a broken wrist (happened on day 1 of tryouts), I feel for him missing something he loves. You know I can not pick a favorite of yours as they are all great. I really like how the pattern paper ones turned out. The coffee incentive stamp mixed in with yours made me giggle. Thank you for inspiring all of us. Love the stunning colors of your beautiful cards! Wow -your cards are wonderful. I love how you mix and match from different sets too. 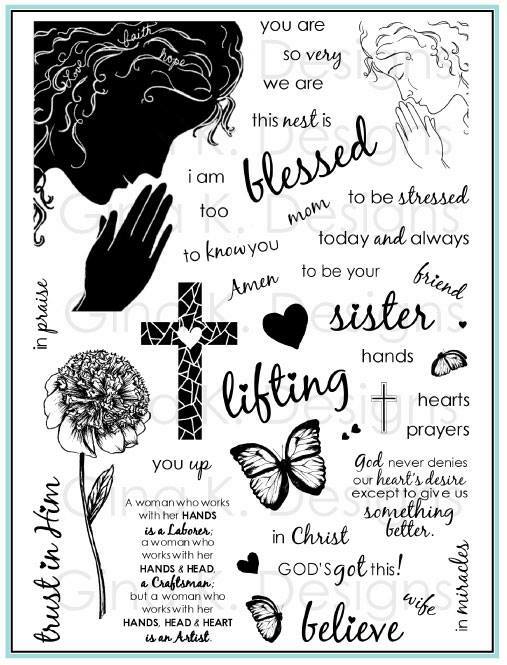 I love your Women of Faith stamps sets and can see I'll be loving this new Men of Faith just as much. Praying your son will heal quickly. 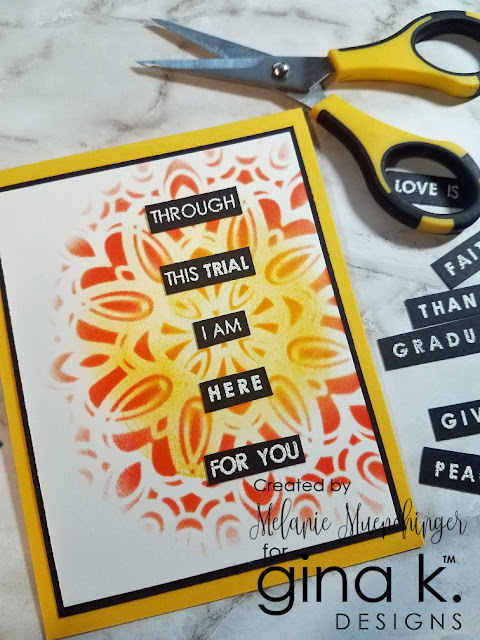 Great cards, I especially love the mandalla you created! 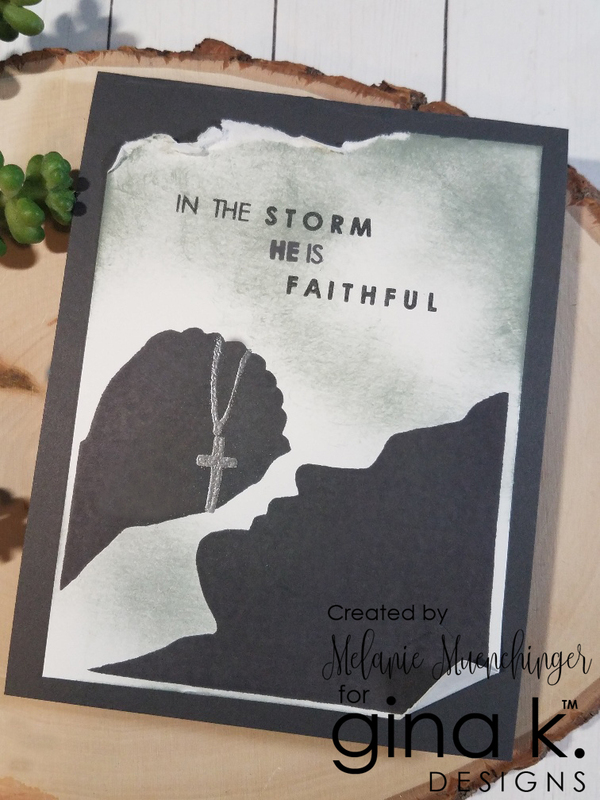 Melanie, you out did yourself with the Men of Faith stamp set! Your cards are beautiful. love, love, love your men of faith set!! as soon as I have the extra funds, I have to get this!!! Amazing collection of cards - so wonderfully creative. Fantastic stamp design. Best wishes that your son heals quickly! Beautiful set of cards! My favourites are the Mandala cards! Prayers for your son and I hope he recovers well and soon!! Gorgeous cards! Praying your son heals completely soon. Great masculine cards. Lifting your son in prayer for a complete recovery. I hope your son's injuries are healing well! That silhouette stamp is stunning. The pink and black mandala knocks my socks off. 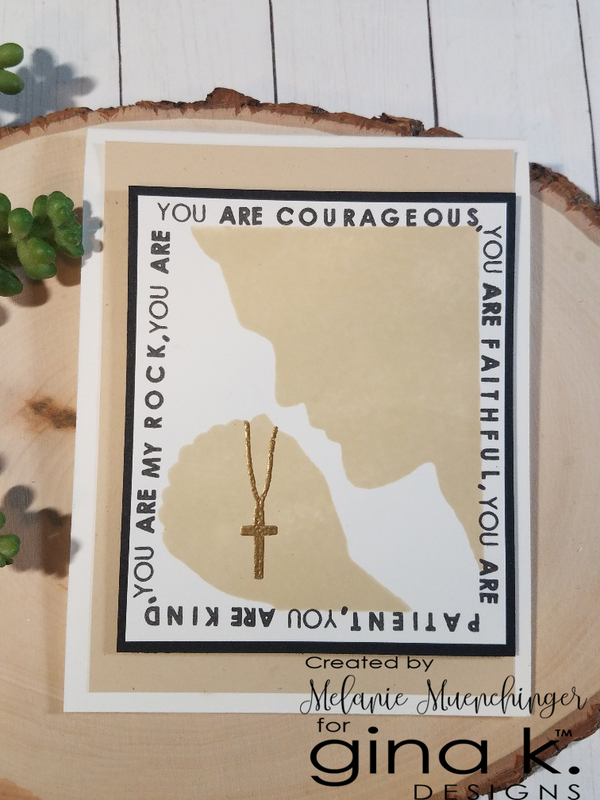 I've fallen in love with your video demo of the "men of faith" stamp set. Mandala maker is sweet too.